One of our last big adventures was a cycling tour from Perth to Brisbane across some of the harshest landscapes in the world. We are middle aged, overweight and did no training whatsoever. What made us do it? The stories and experiences of other amazing cyclists we met during our travels and the desire to do something different and challenge ourselves even more than usual. How did we do? 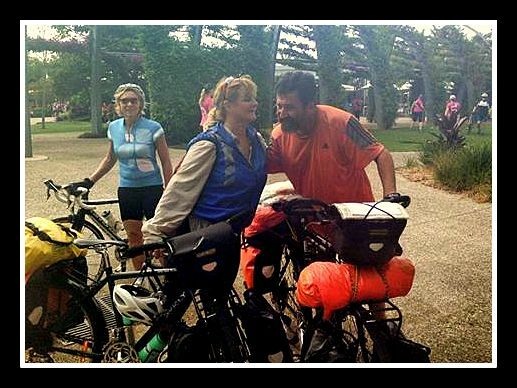 Take a look at our progress and all our experiences…good and bad…as we just kept on peddling. Crossing our finish line at Southbank, Brisbane…We made it!